Lexavia Integrated Systems expected to receive its first supplemental type certificate (STC) for an enhanced vision system (EVS) on the Eurocopter AS355 around the end of last year. Other certifications are expected to follow soon thereafter, including fixed-wing applications such as jets and turboprops, according to Chuck Crompton, director of business development. These will include King Airs, PC-12s, Learjets and Citations. The first STC covers installation of Lexavia’s fixed field-of-view LFS 3000 system, mounted on a bracket that wraps around the helicopter’s skid-tube. Lexavia is bringing to market a variety of EVS products in many configurations. The LFS 3000, for example, offers customers the option of selecting four different optics choices. These include the standard 320- by 240-pixel array or a 640- by 480-pixel array, both with 2X digital zoom capability. “The LFS 3000 end-user price of about $25,000 is less than half that of previous-generation EVS,” explained Crompton. The LZS 5000 brings long-distance viewing to EVS, with variable 3X optical zoom and 6X or 12X digital zoom. The tiny LFS 6000, which weighs just .35 pounds, is designed for high-airspeed applications and has image quality comparable to that of the LFS 3000. Lexavia is calling the LFS 6000 “the first attractive EVS solution for the very light jet market.” Price for retrofit should be less than $30,000. Lexavia EVS sensors are mounted in milled aluminum housings that require no additional fairings or enclosures. The housing can be mounted upright or inverted, and the sensor image is changeable to adapt to either housing mount configuration. In partnership with Avalex Technologies, Lexavia offers LCD video displays and digital video recording panels along with its EVS. LCDs range from 5.6- to 10 inches and offer NVG filtering and four mounting location styles, including swing-hinges for out-of-view stowage when not being used. 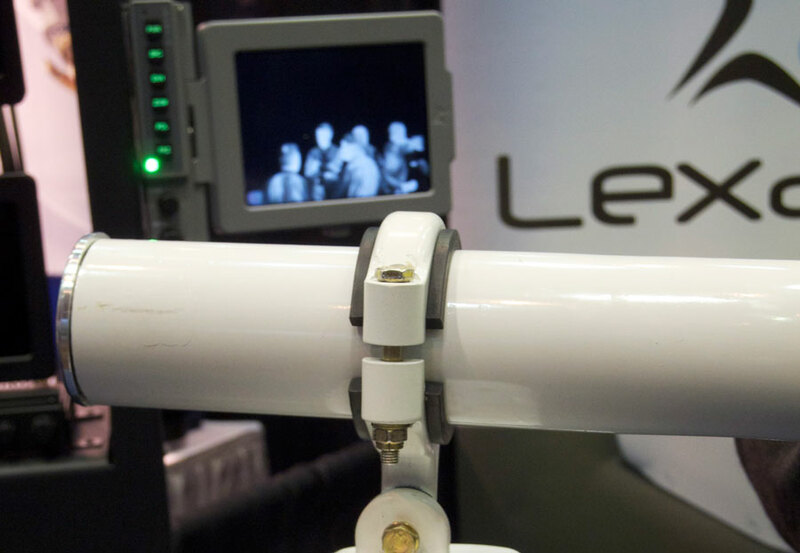 At last year’s NBAA show, Lexavia introduced a new line of color high-definition cameras, including an external airframe-mounted system and a glareshield camera for the cockpit.